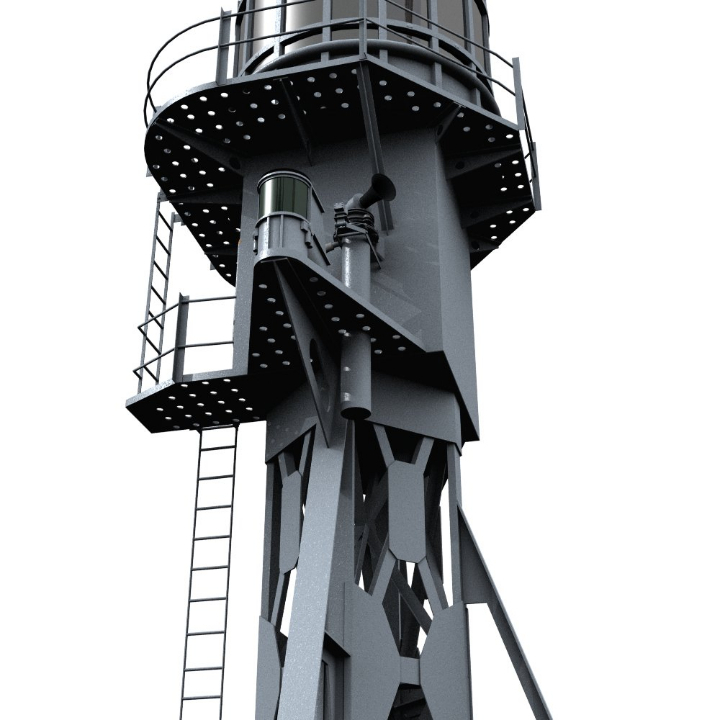 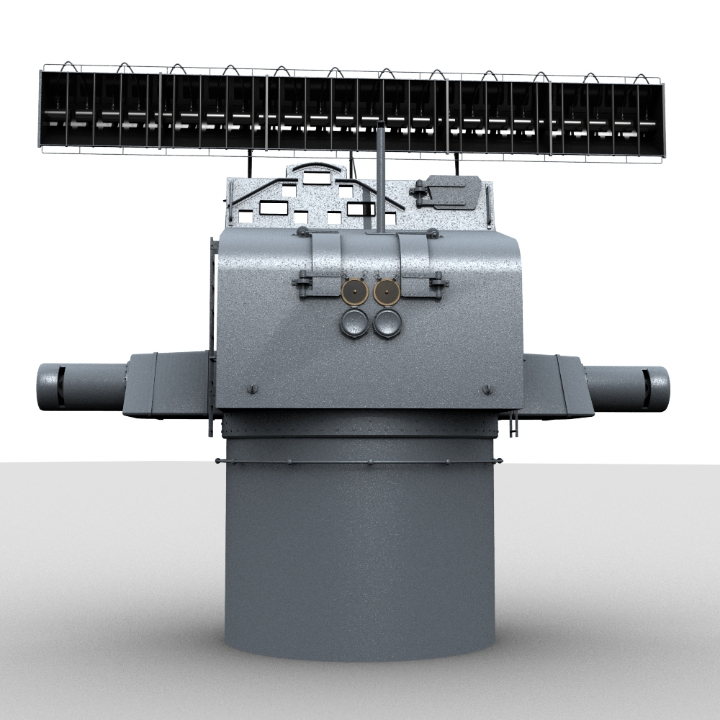 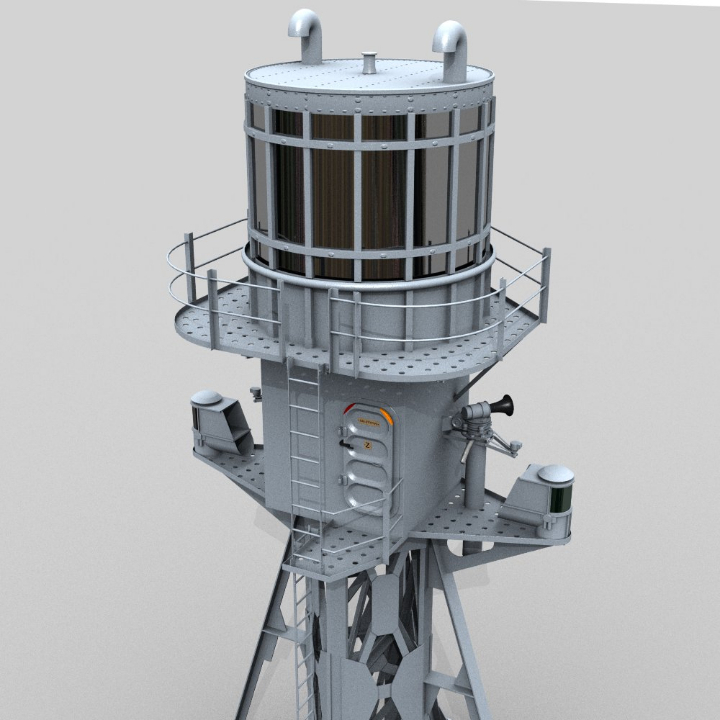 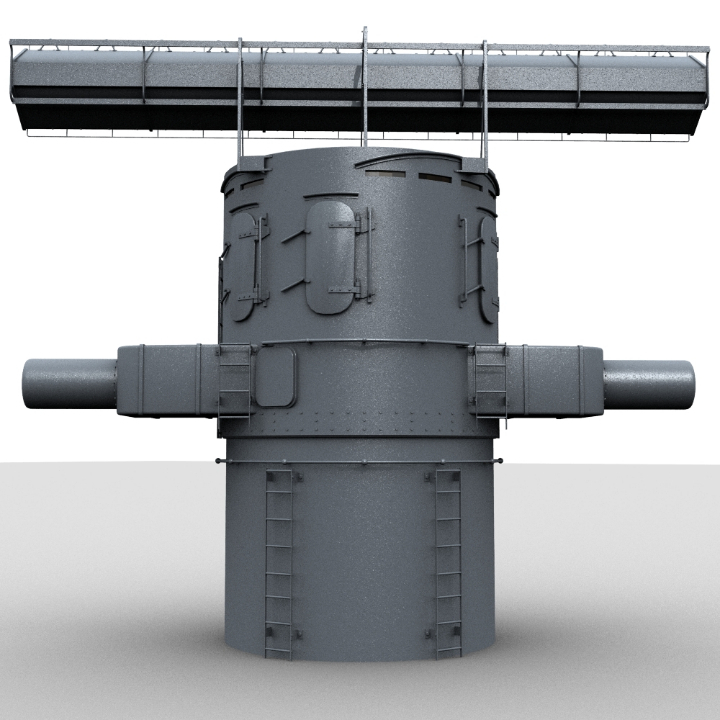 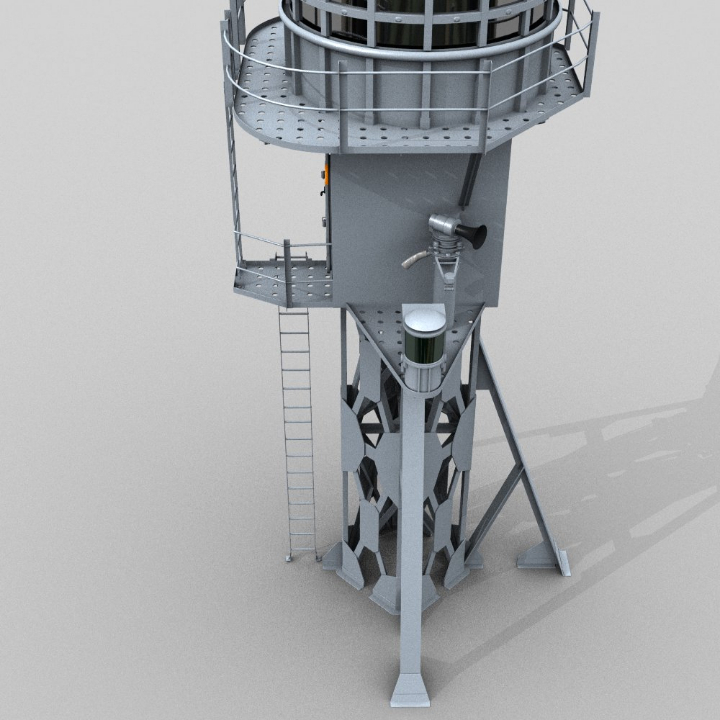 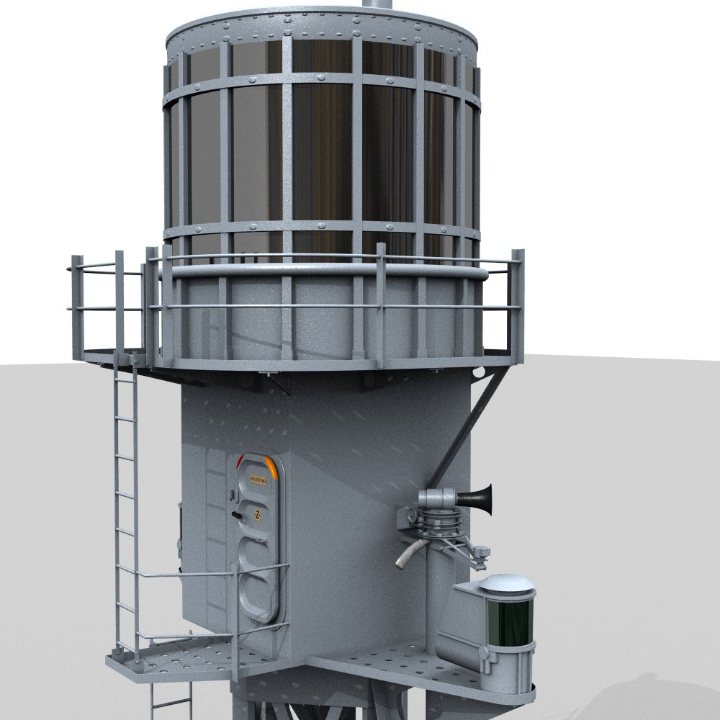 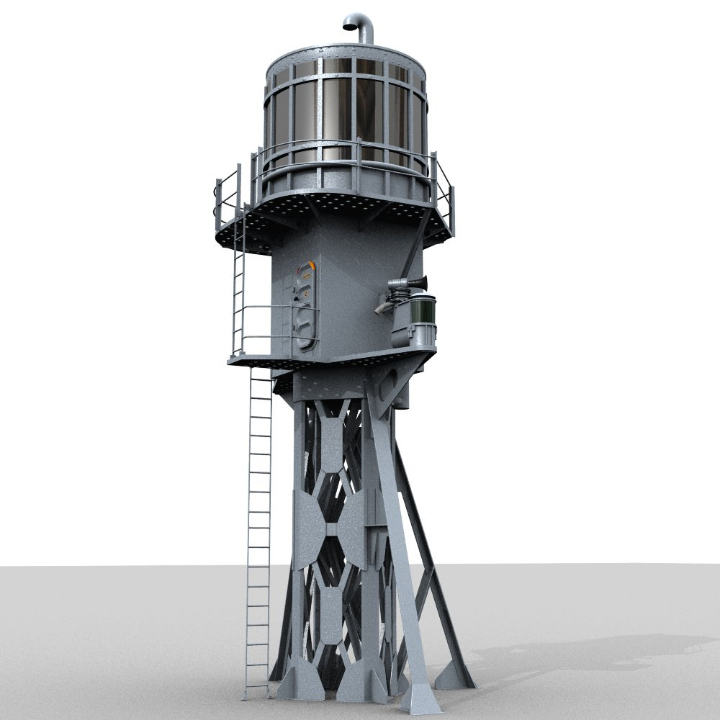 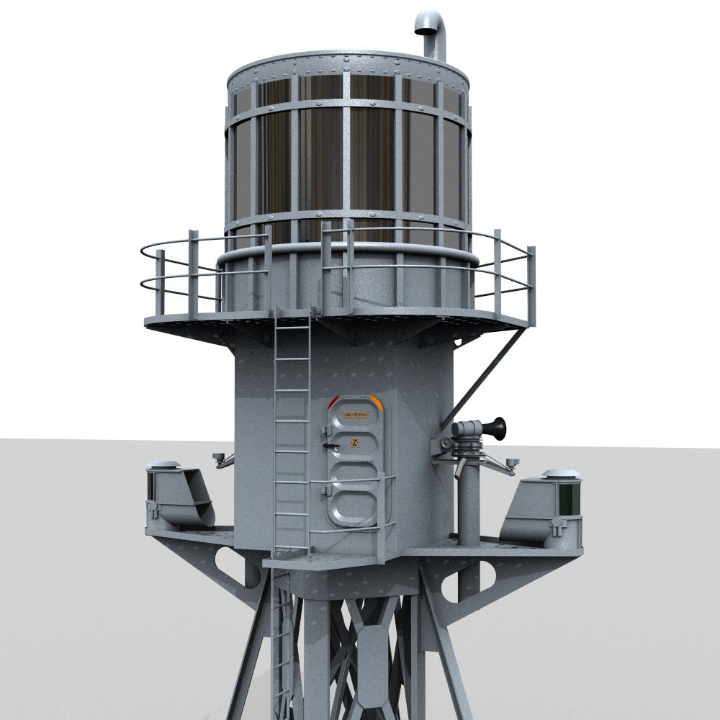 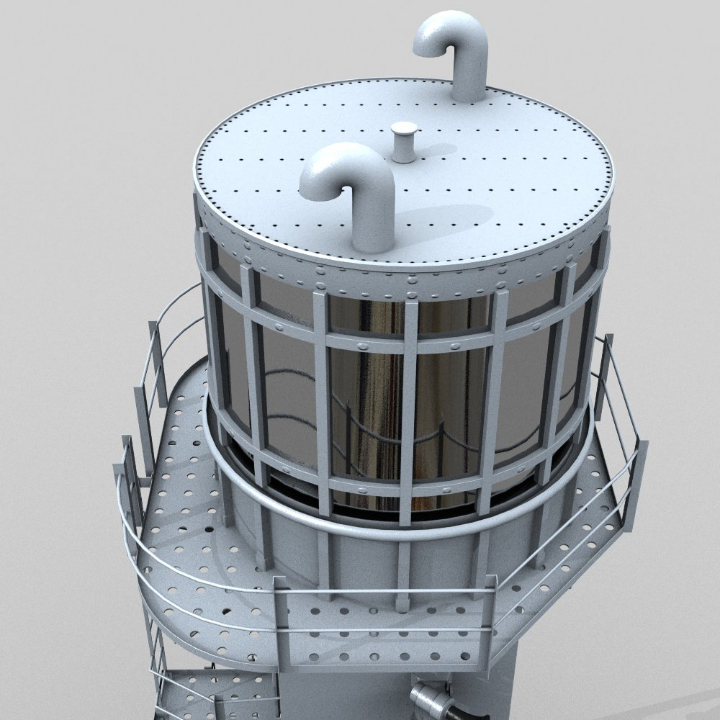 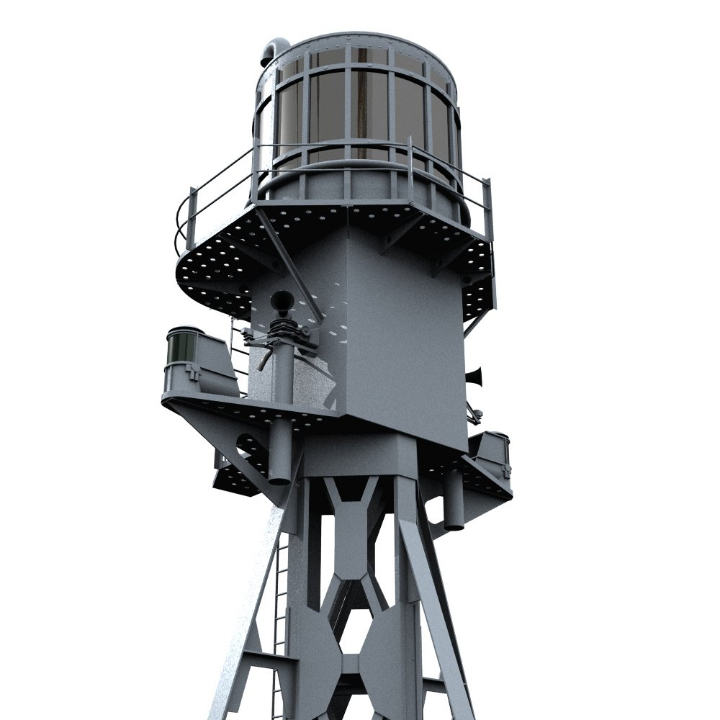 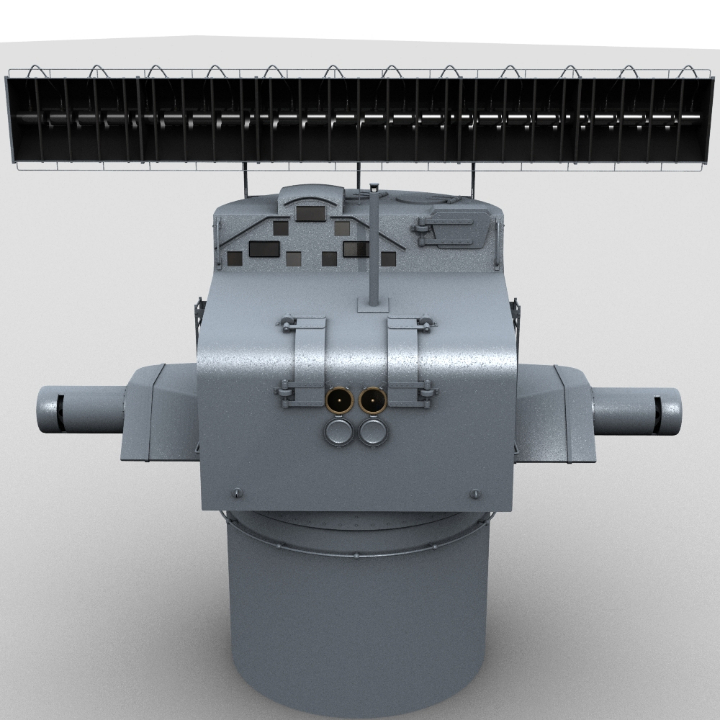 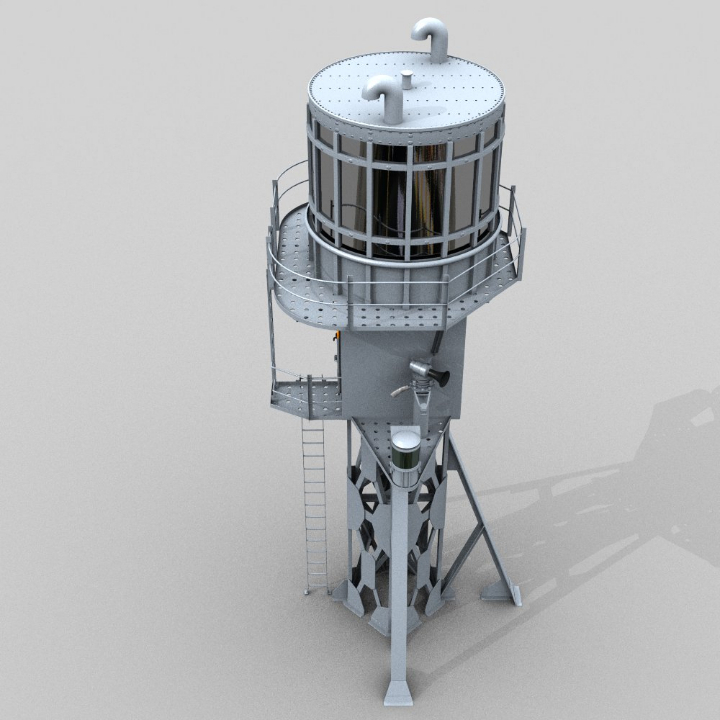 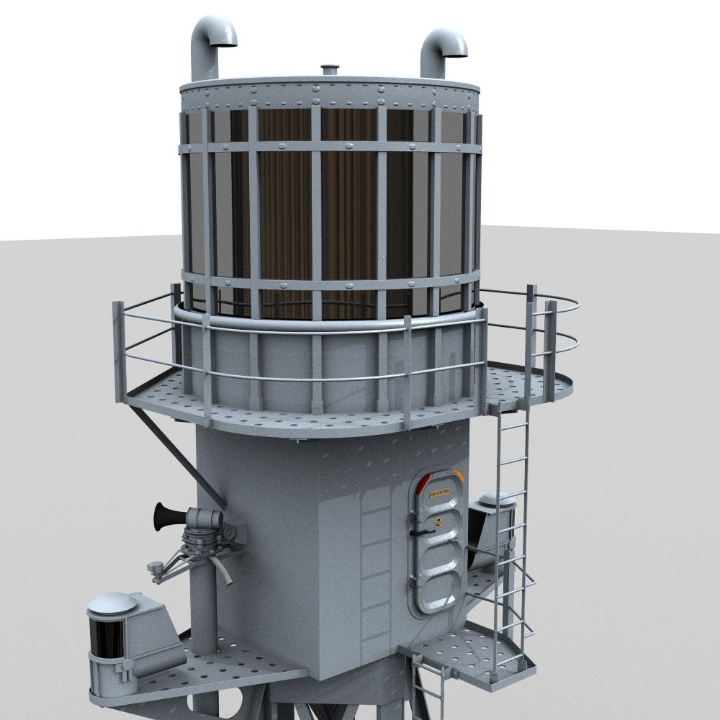 The fire control systems of� HMS Belfast in 3D. 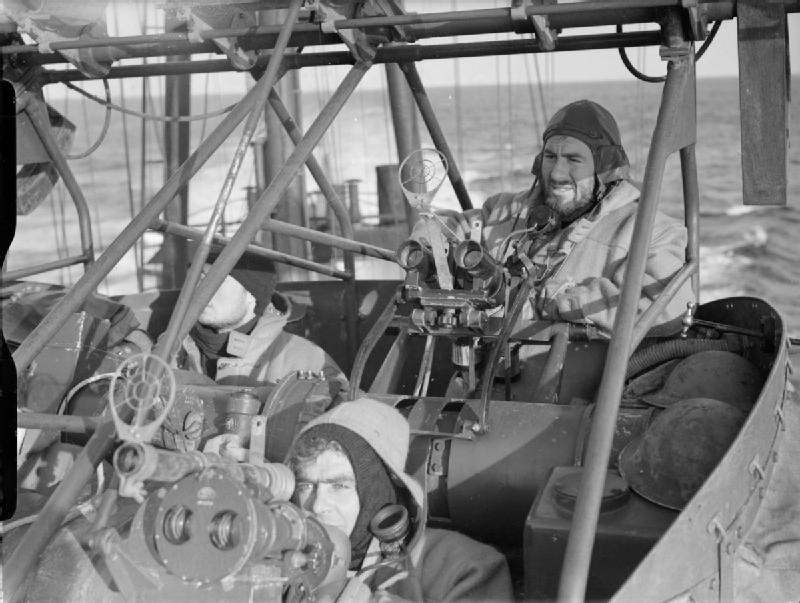 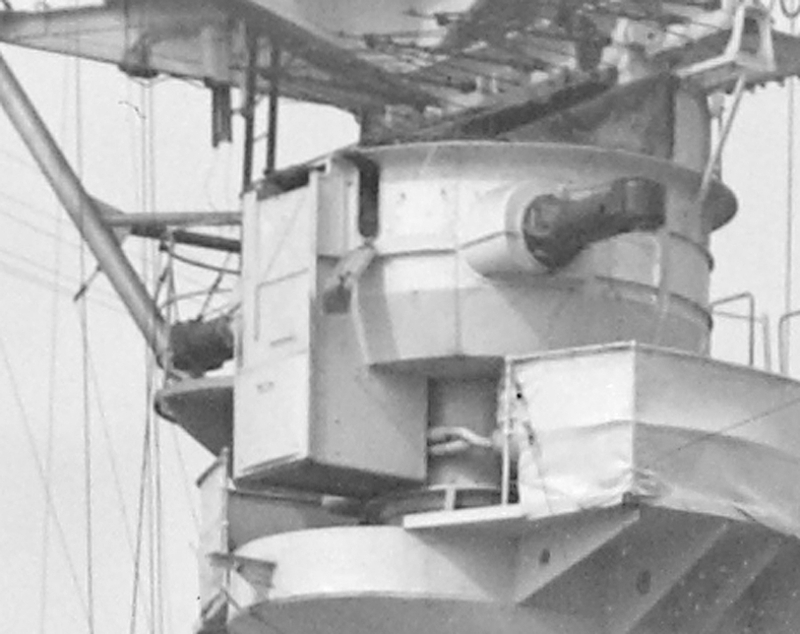 Jump to the High Angle Director, Type 273 Arial Radar Section. 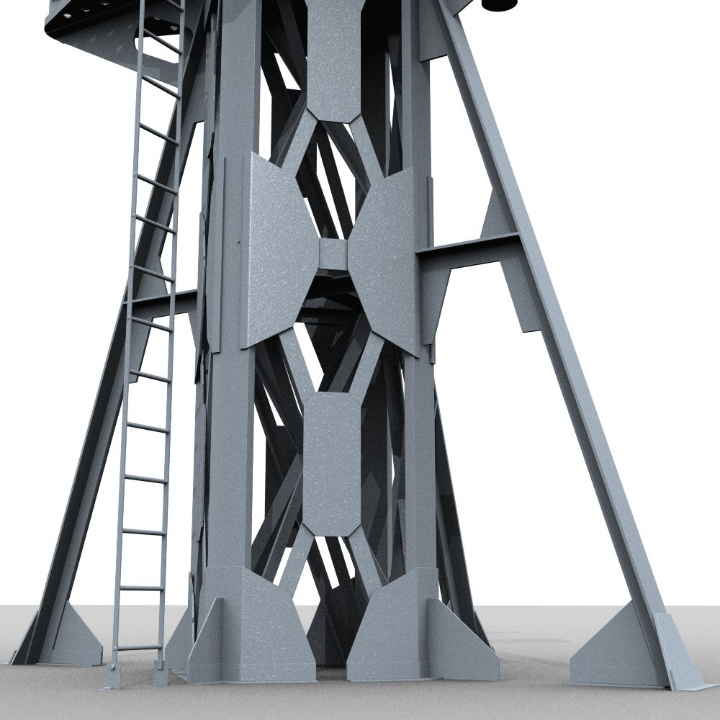 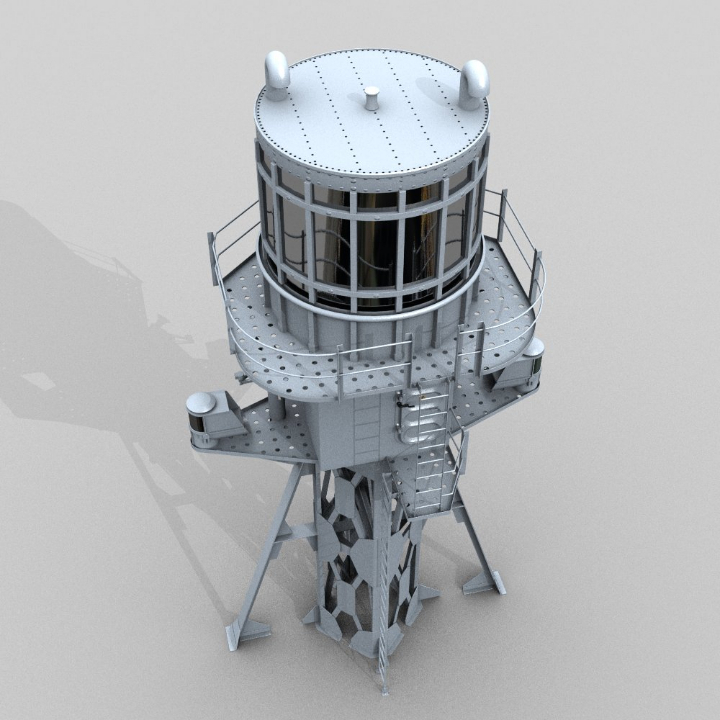 The 6in Fire Control Tower with the Type 284 Radar on top. 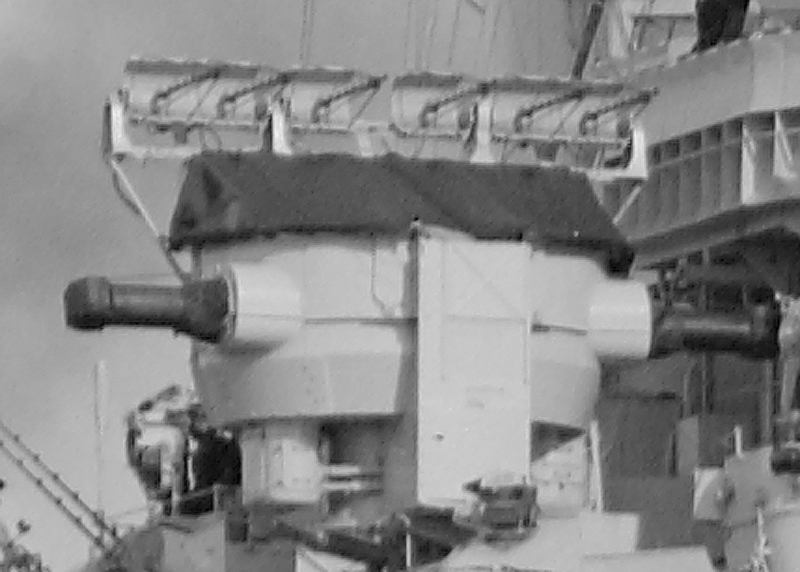 Note:� HMS Belfast�s Type 284 Radar system was different to most other British ships who were equipped with two dipole sender/receivers. 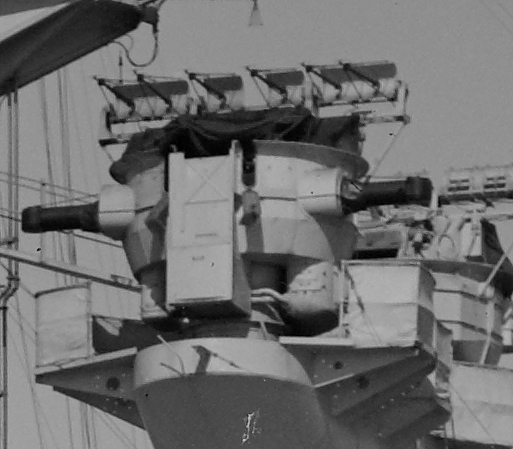 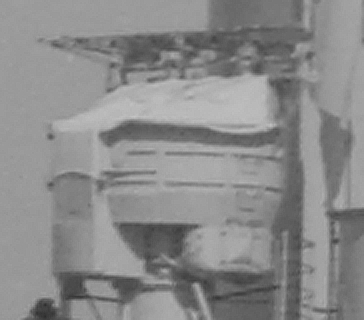 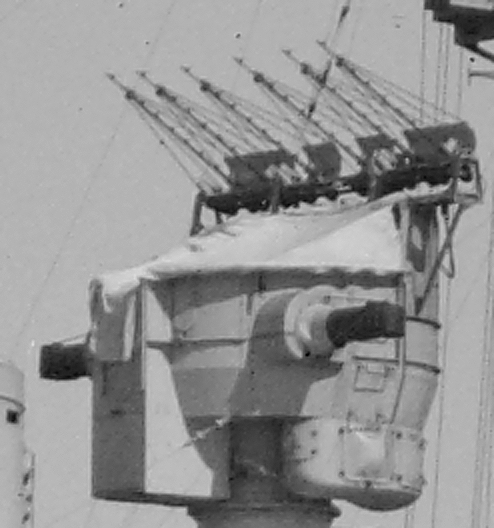 HMS Belfast had only one radar antenna barrage mounted on top of the Fire Control Tower. 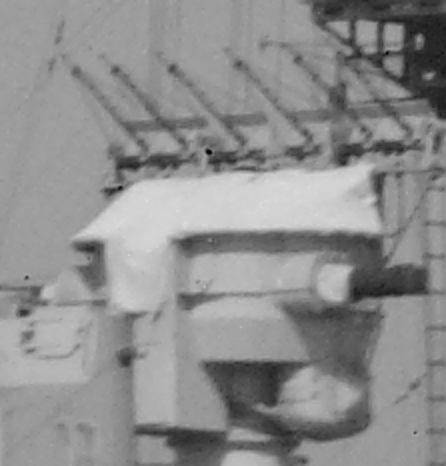 HMS Belfast’s High Angle Director with Type 285 Radar. 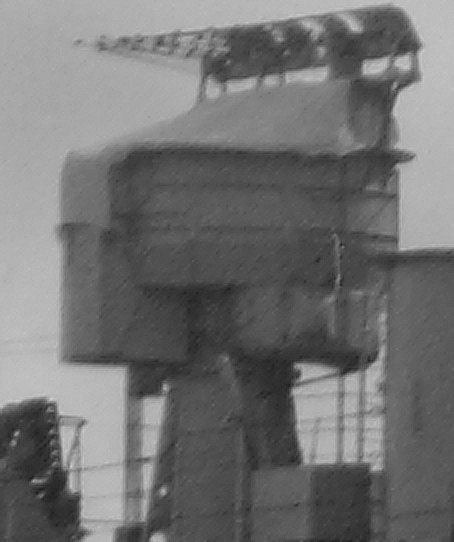 The high angle director of HMS Belfast was replaced with a more modern type during her refit/repair. 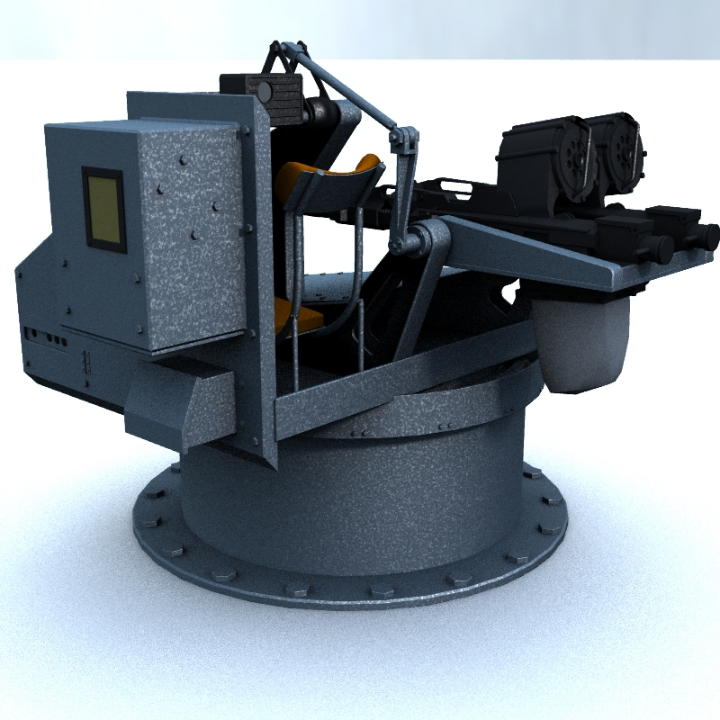 It was quite difficult to get this device as correct as possible.� Drawings of this type of High Angle Director shown in various books do not even get close to the original. 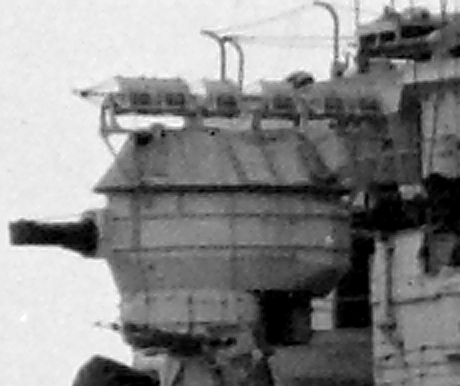 The break thru came as we looked at high resolution photographs of other RN ships using the same director. 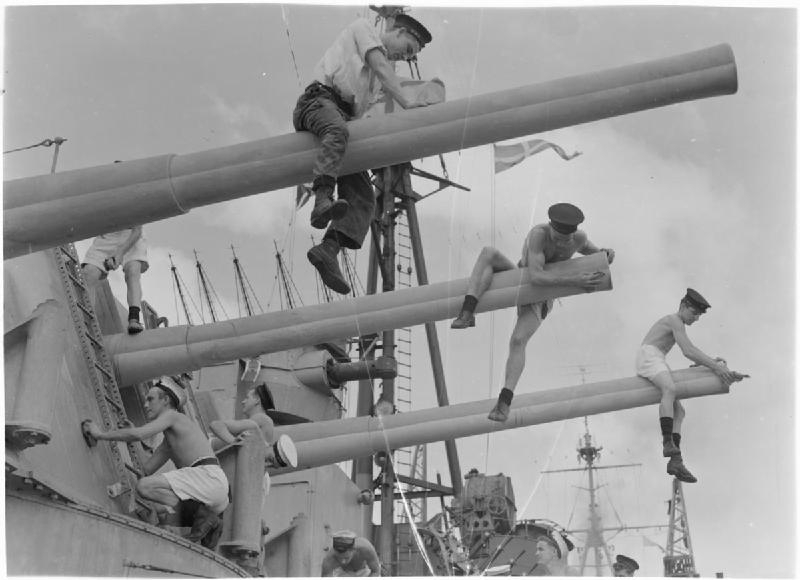 The photo gallery’s below are showing the High Angle Director of HMS Belfast and of other ships we have used as reference. 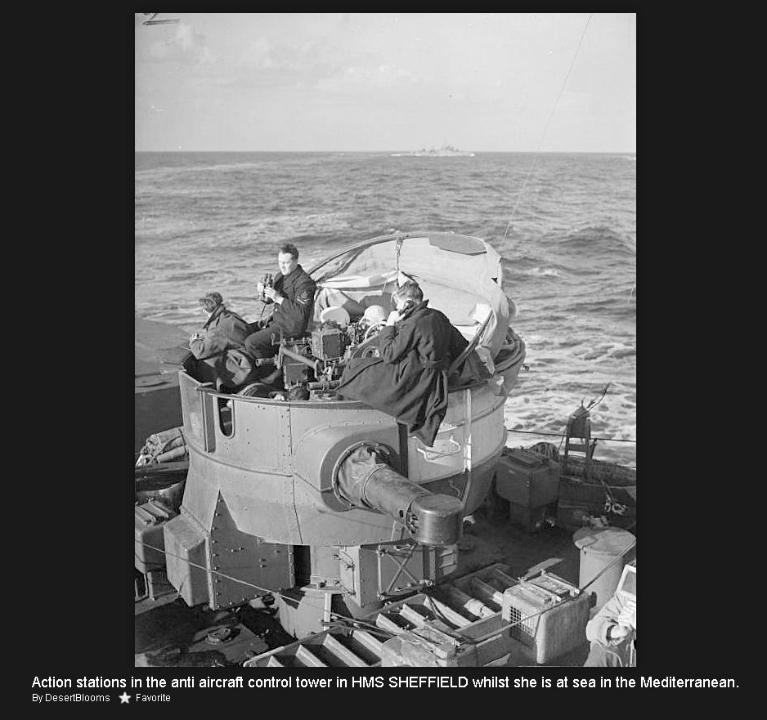 Here is a set of photos from the Imperial War Museum showing the HA Directors of HMS Sheffield, HMS Manchester and HMS Mauritius. 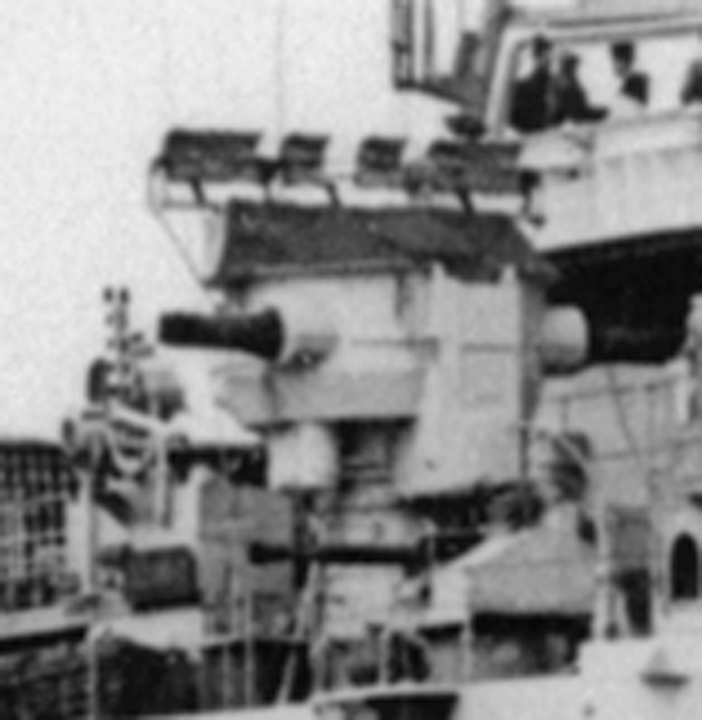 Note: Only HMS Mauritius had the same type of HA director installed,� as on Belfast. 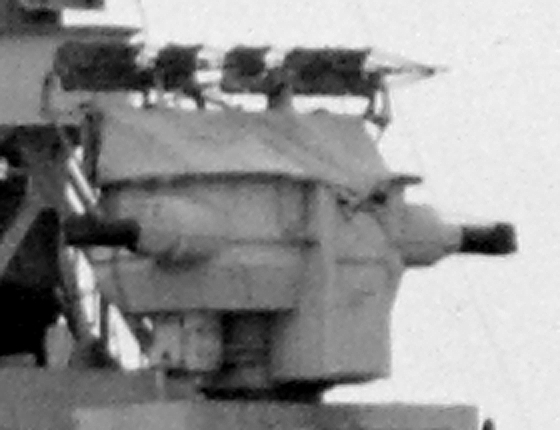 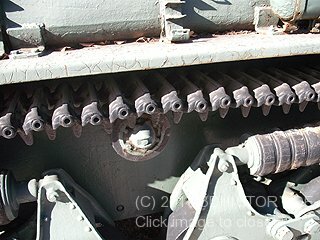 But the especially the HMS Sheffield pictures give a good idea of the basic construction of these devices. 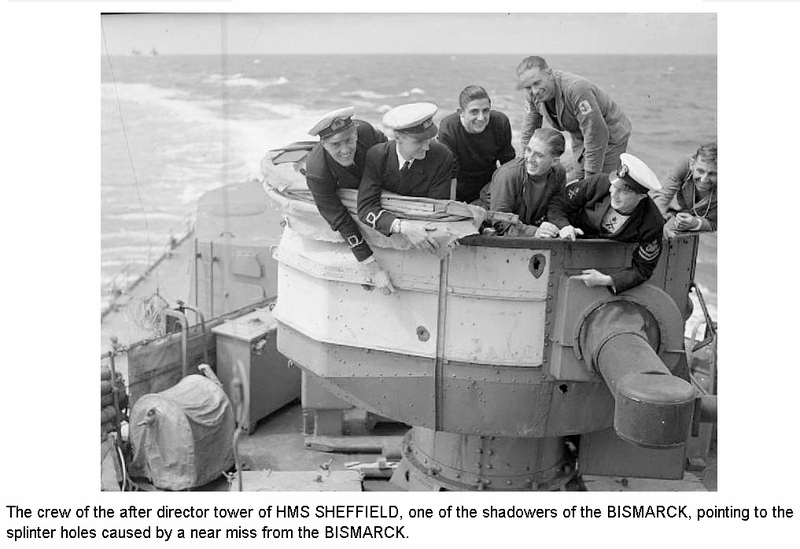 The HA Director of HMS Sheffield & Co. 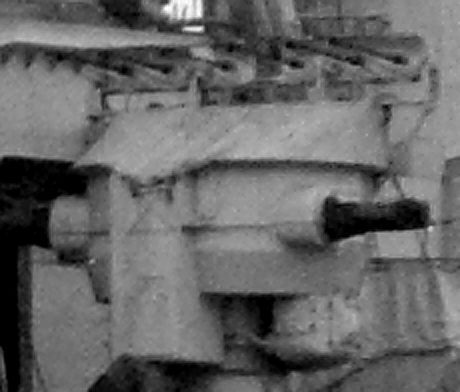 The gallery’s below shows the High Angle Director similar to the one used on HMS Belfast cropped out of high res photos from various other ships. 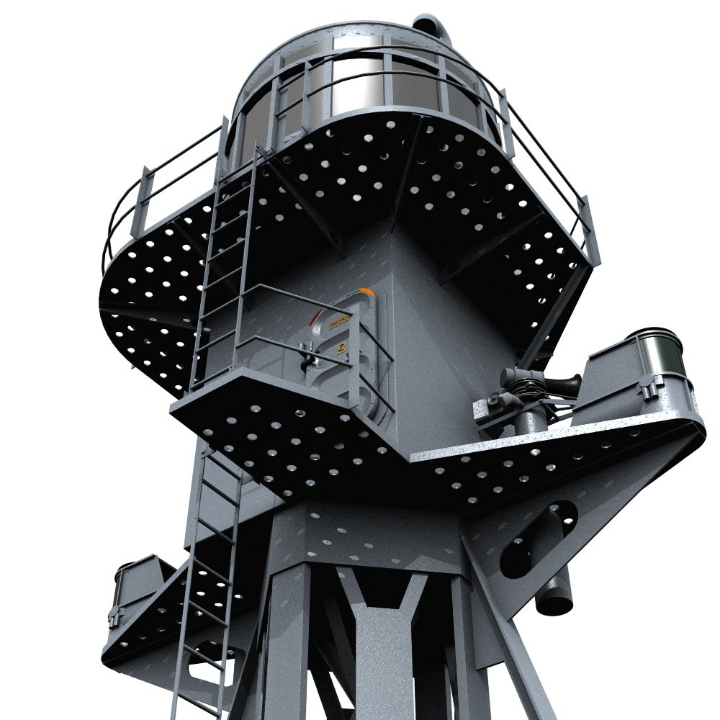 Unfortunately because of the relatively small size of the� the High Angle Director the relevant part even in a high resolution images is still blurry and lacks details. 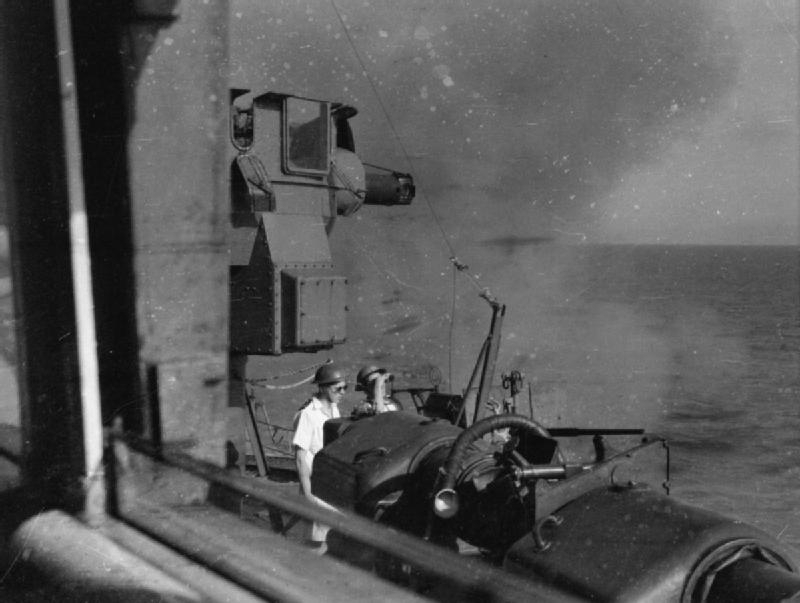 The HA director on HMS Bermuda, Gambia, Bellona, and King George V.
Note: KGV has an additional splinter shield on the rear of the HA director house. 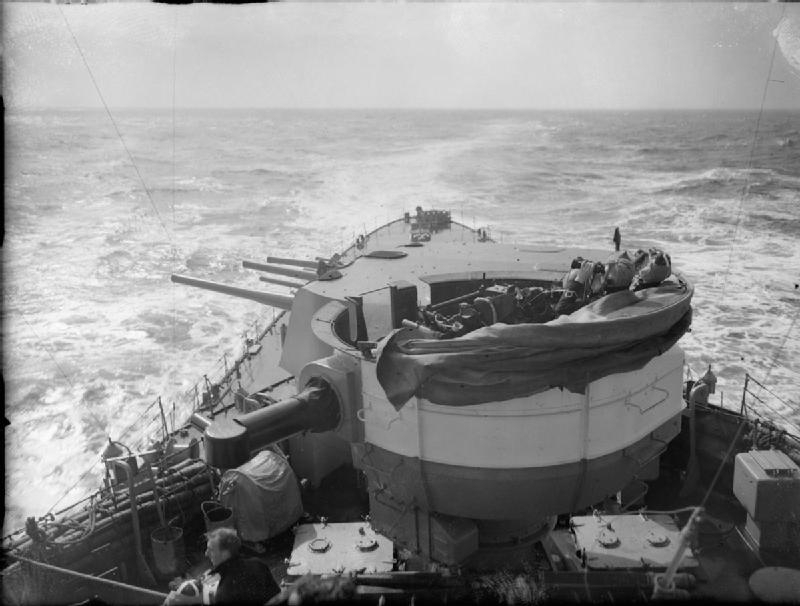 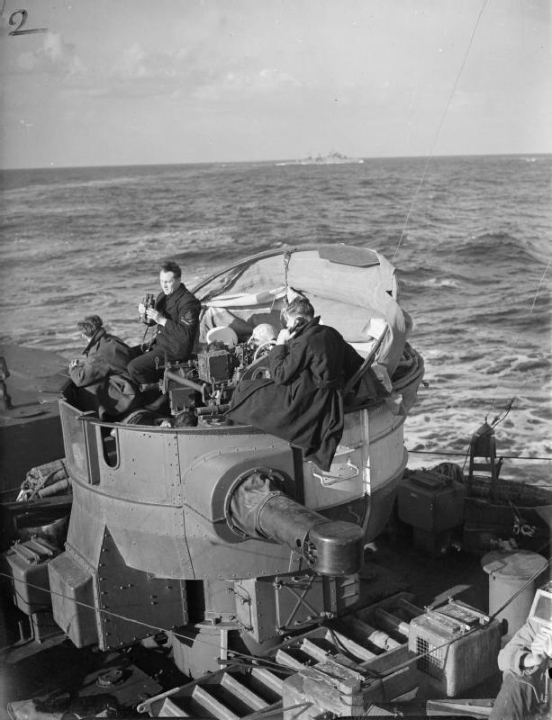 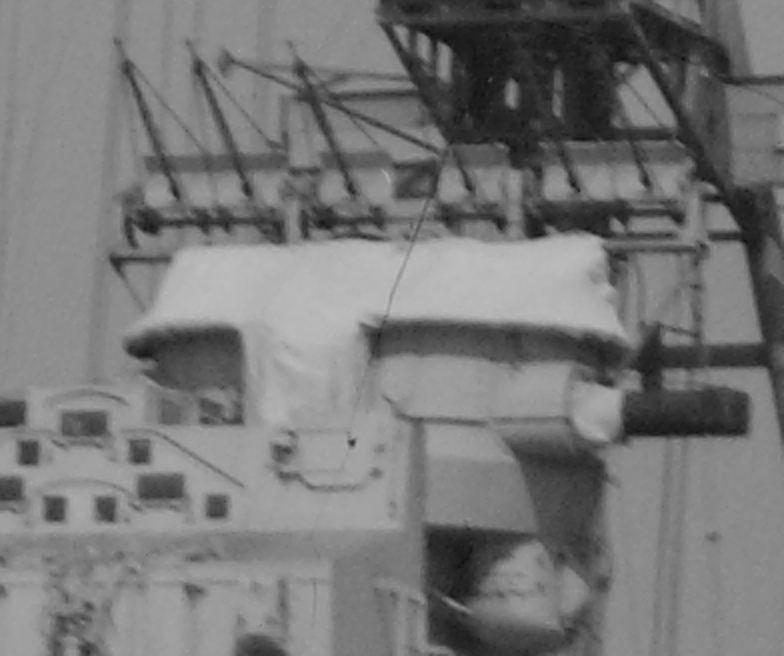 This additional shield was not installed on most of the RN cruisers, except HMS Belfast. 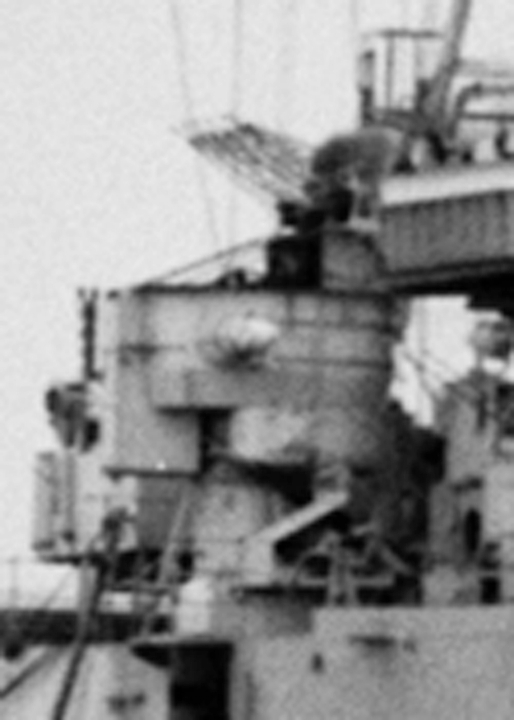 She received modified HA directors probably early 1944. 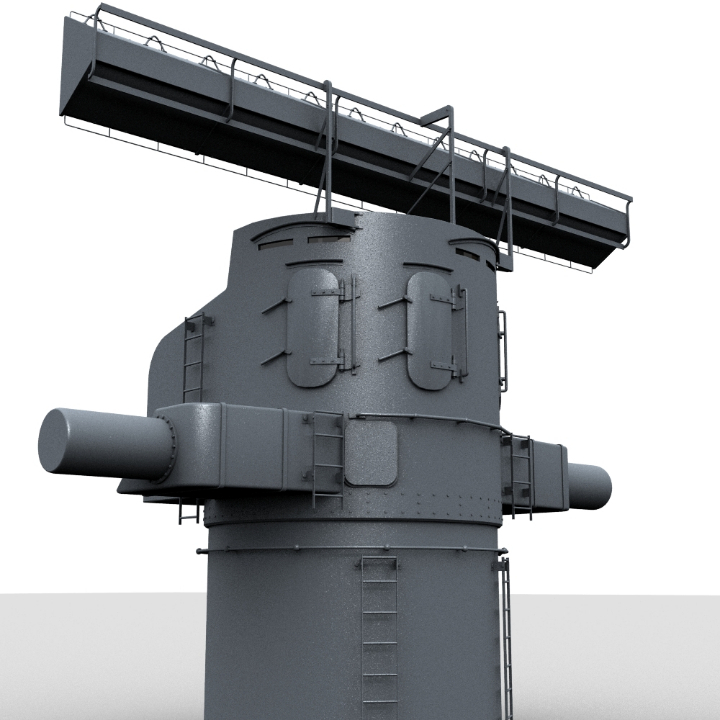 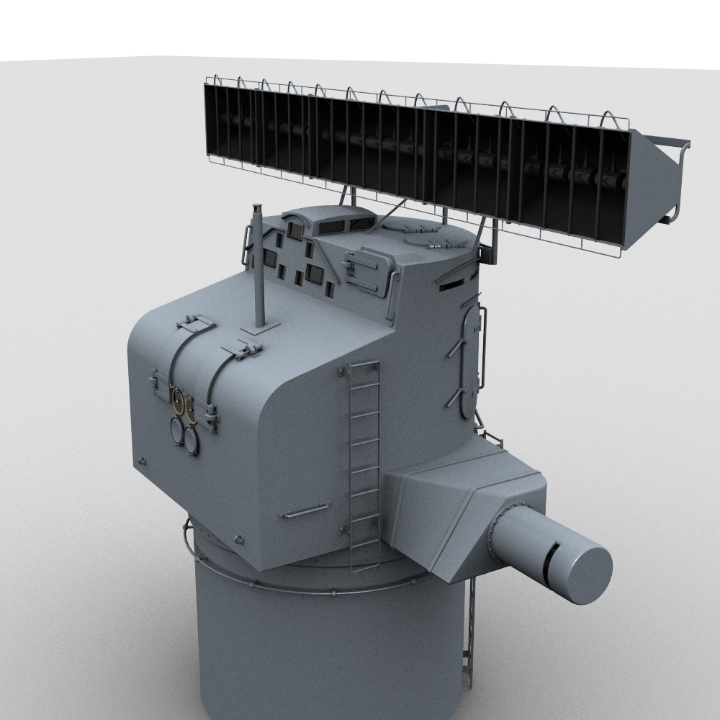 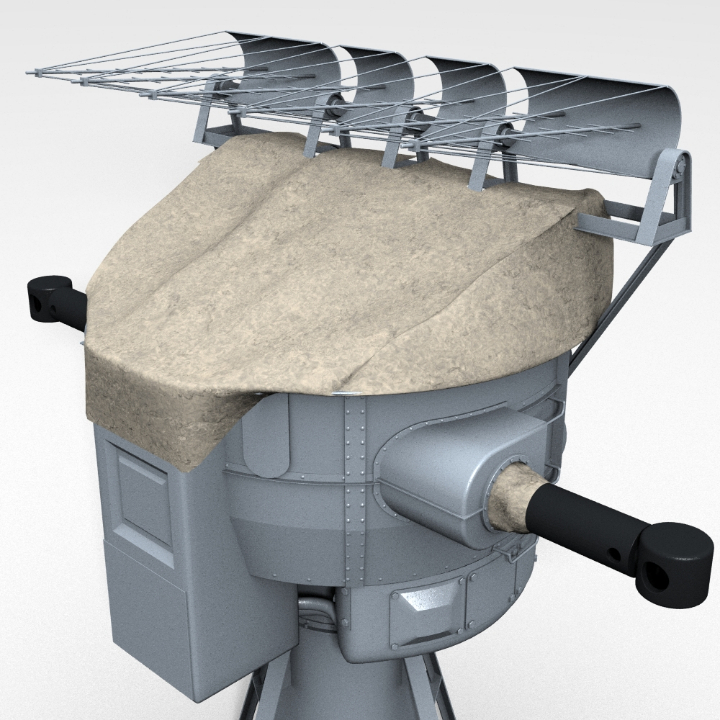 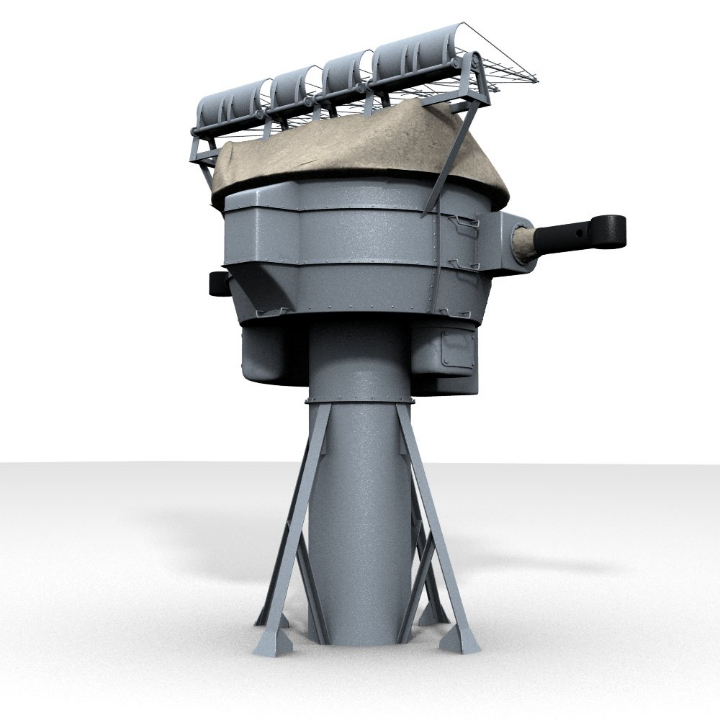 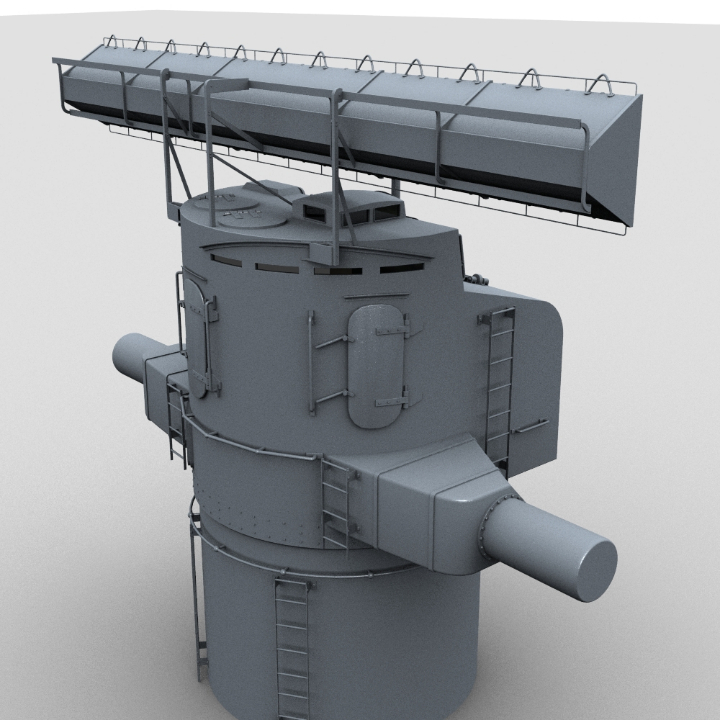 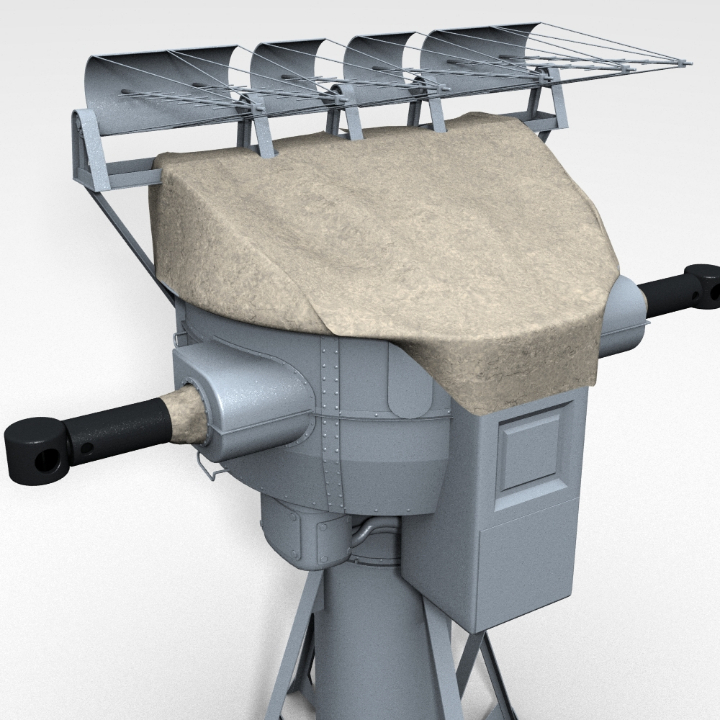 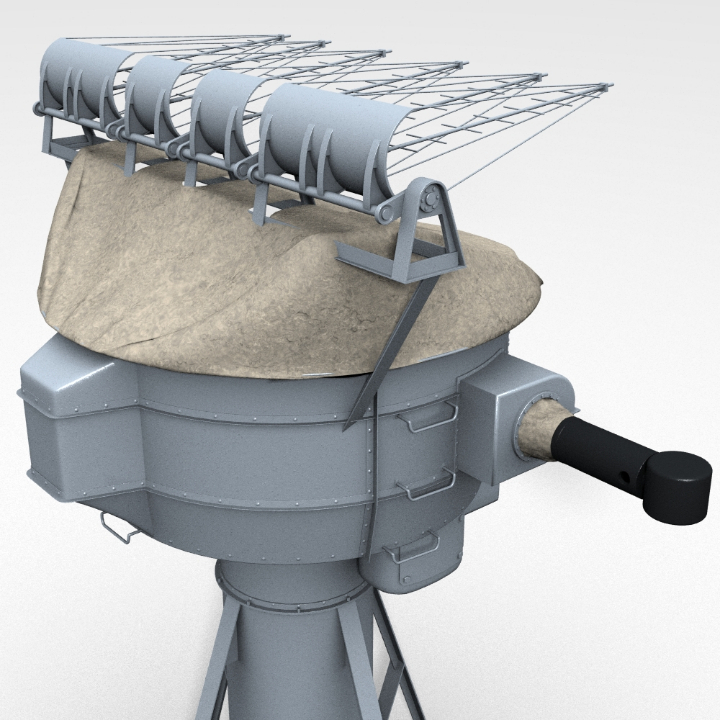 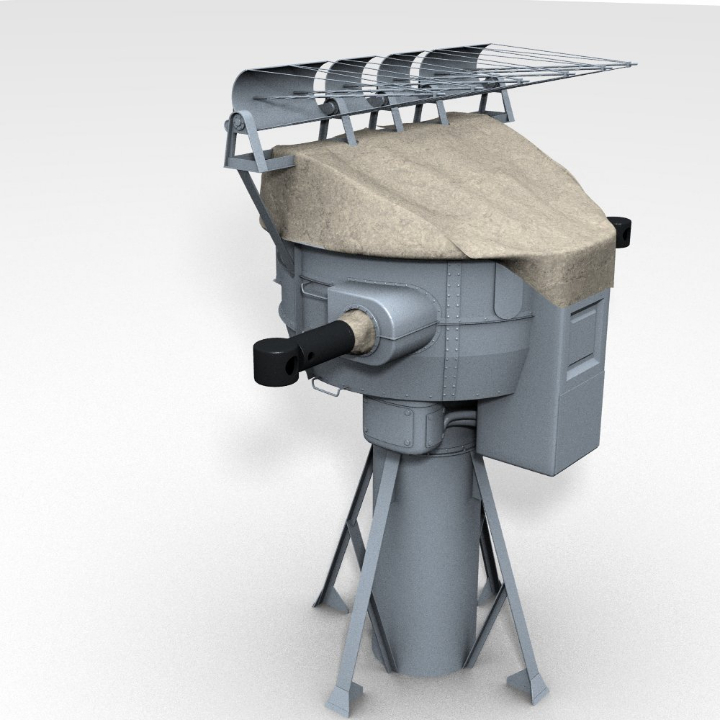 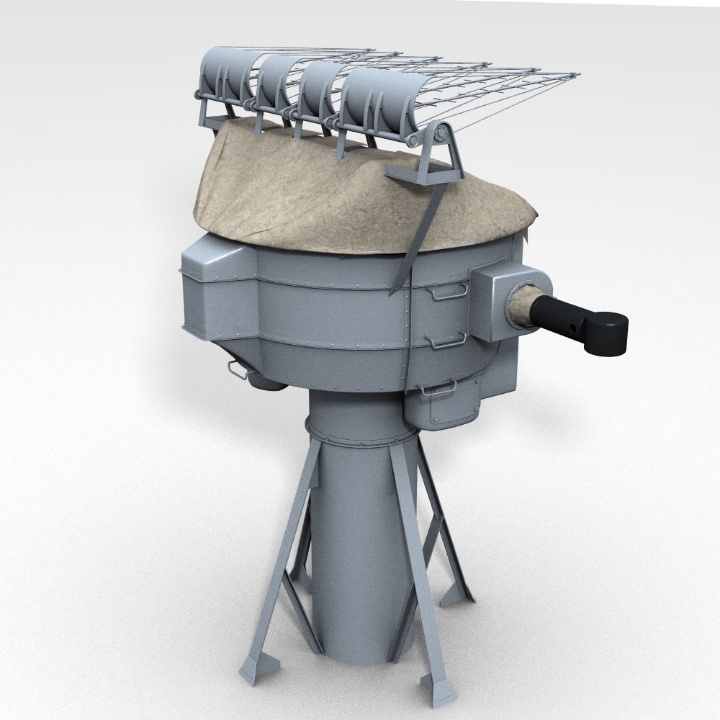 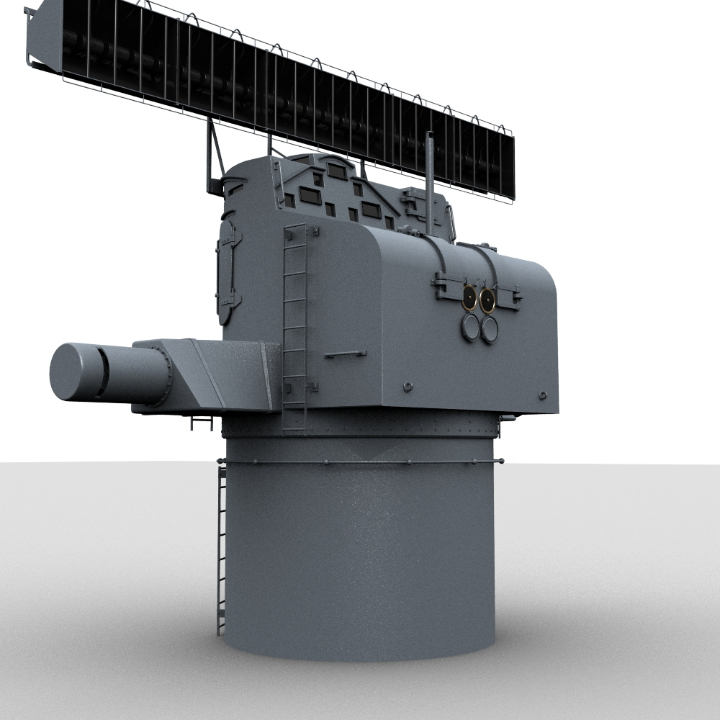 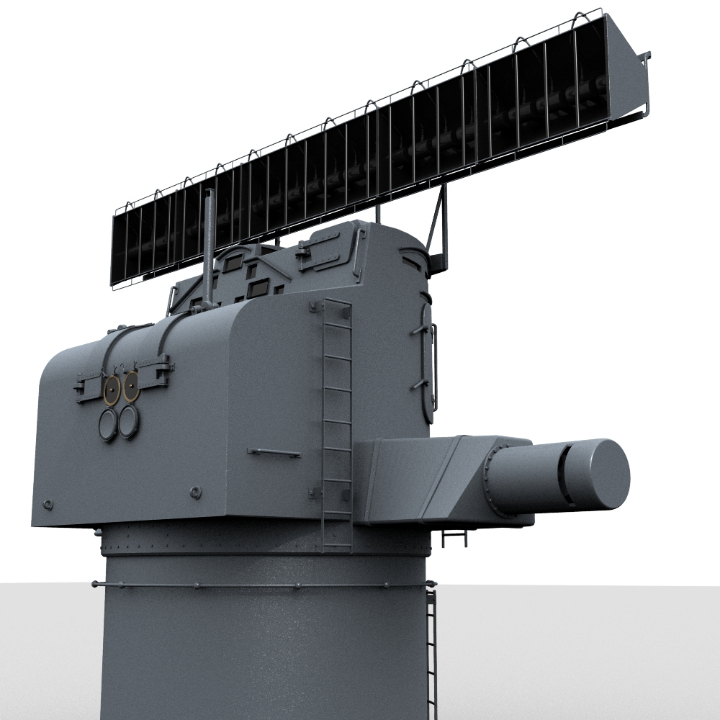 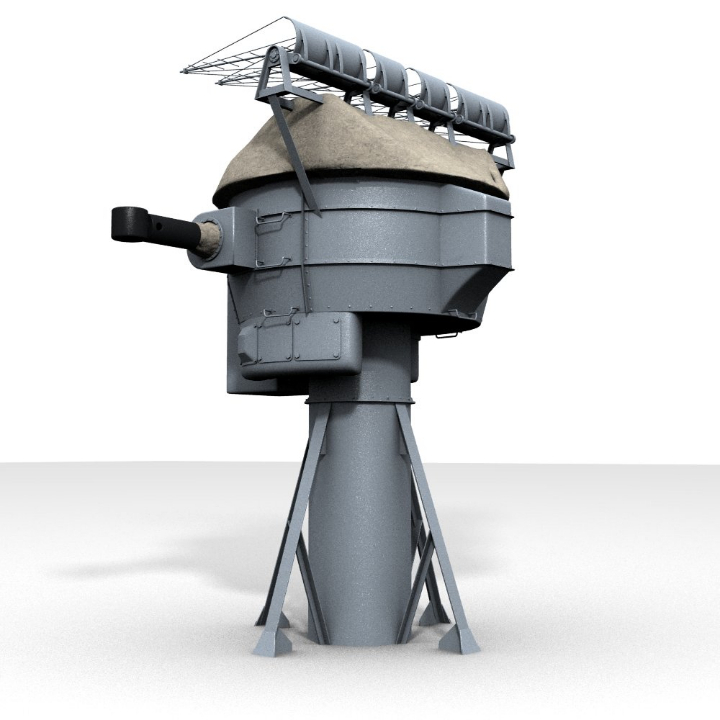 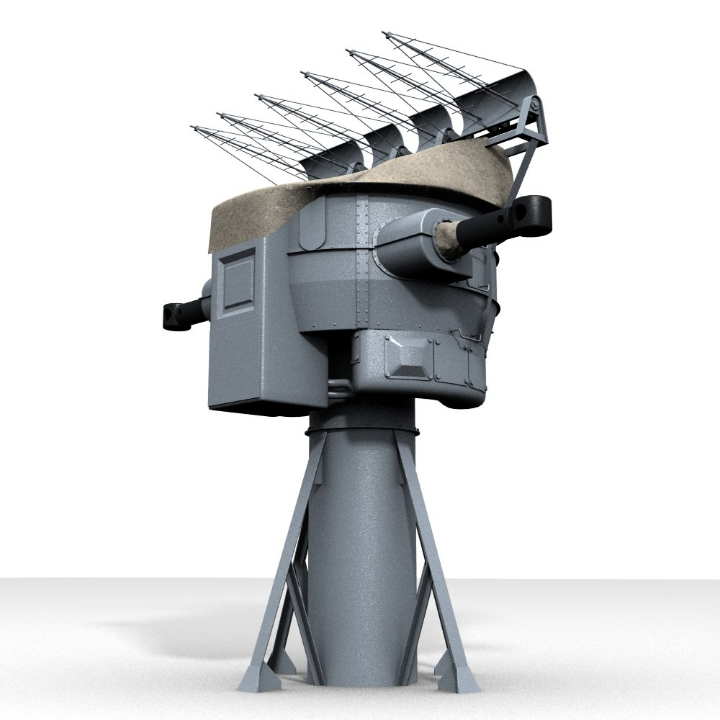 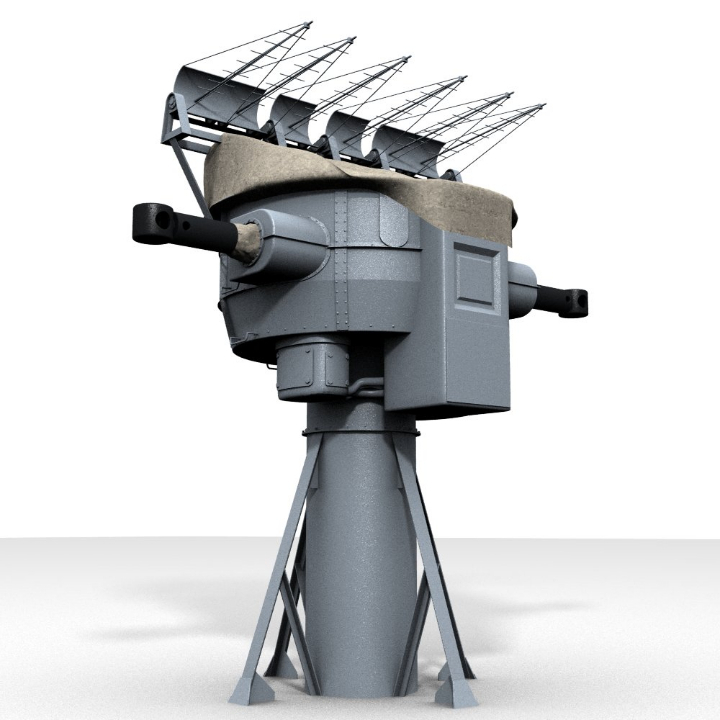 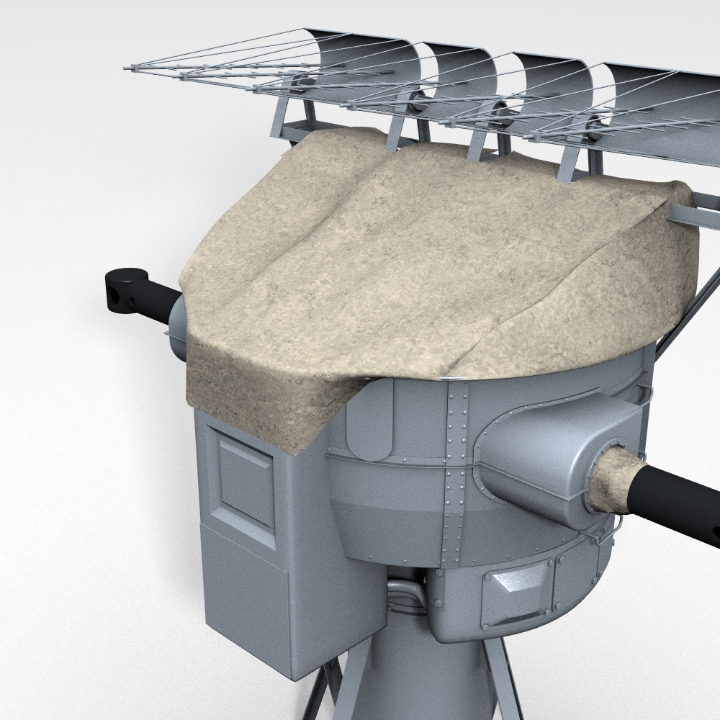 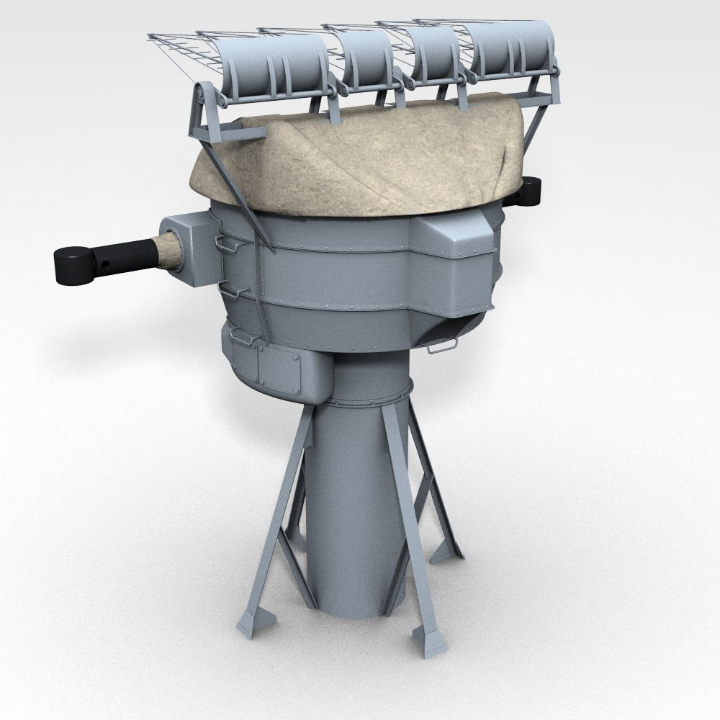 Last but not least, my interpretation of HMS Belfast’s High Angle Director and Type 285 Radar in late 1943. 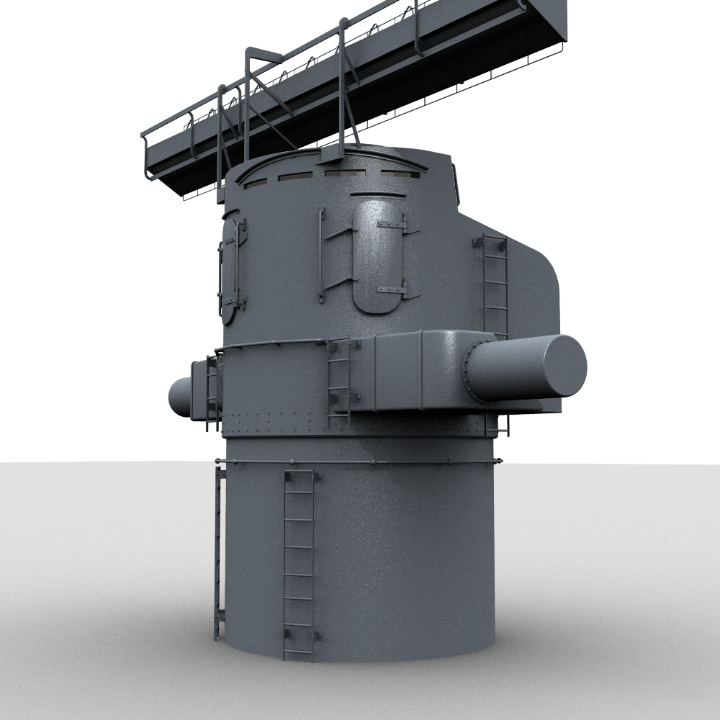 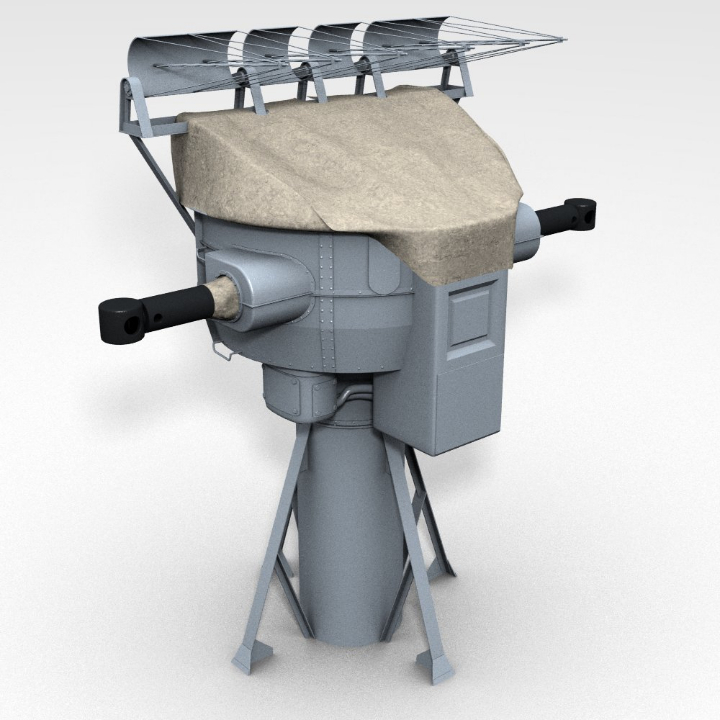 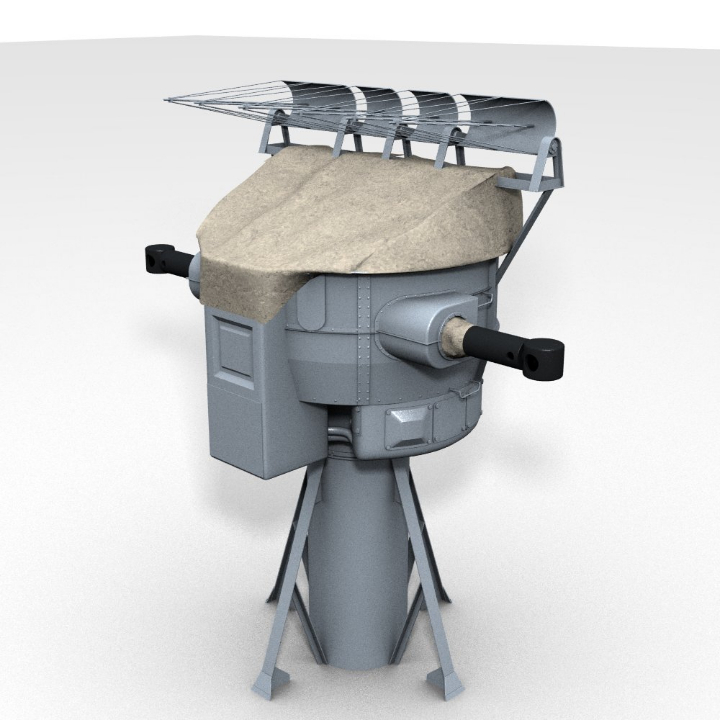 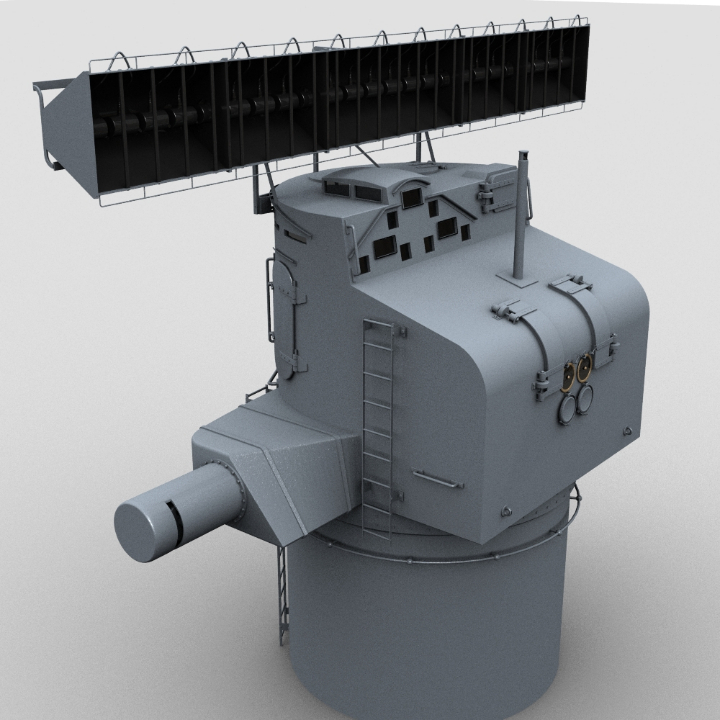 There is still work to-do especially on the elevation mechanic of the Type 285 radar! 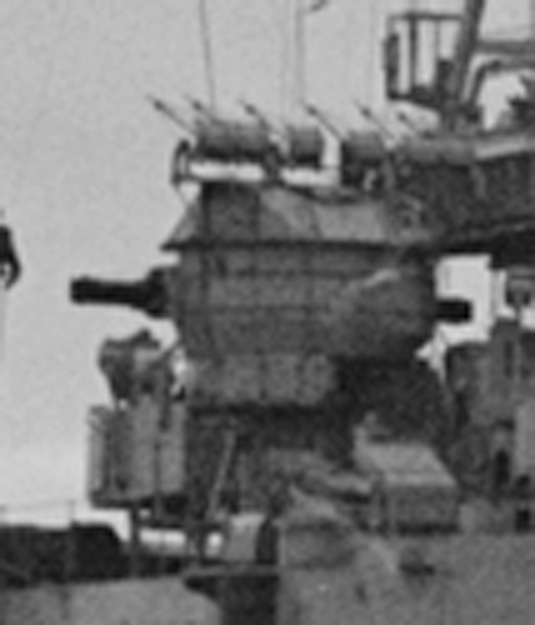 But at this point there is� no in depth information about the mechanic available!